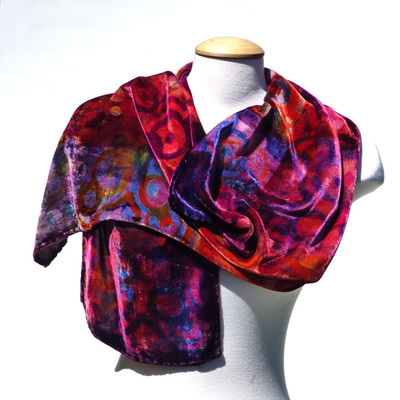 My love for color and texture comes through in my scarves. 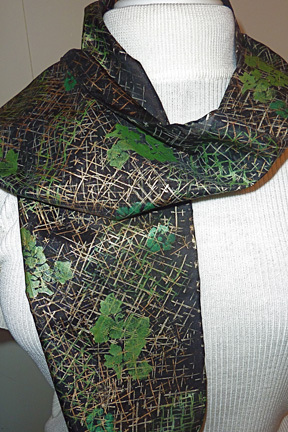 I use a variety of techniques creating scarves each with their own charm. 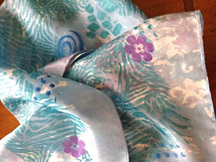 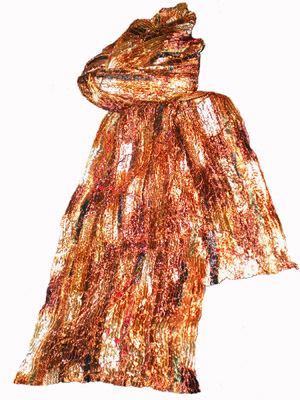 Silk, silk/rayon, and silk/wool fabric is dyed in a variety of techniques: Silk screening, stenciling, and stamping with thickened dyes; discharging; snow dyeing; rust staining; and stenciling with fabric paint are some of the techniques that can be found in my scarves. 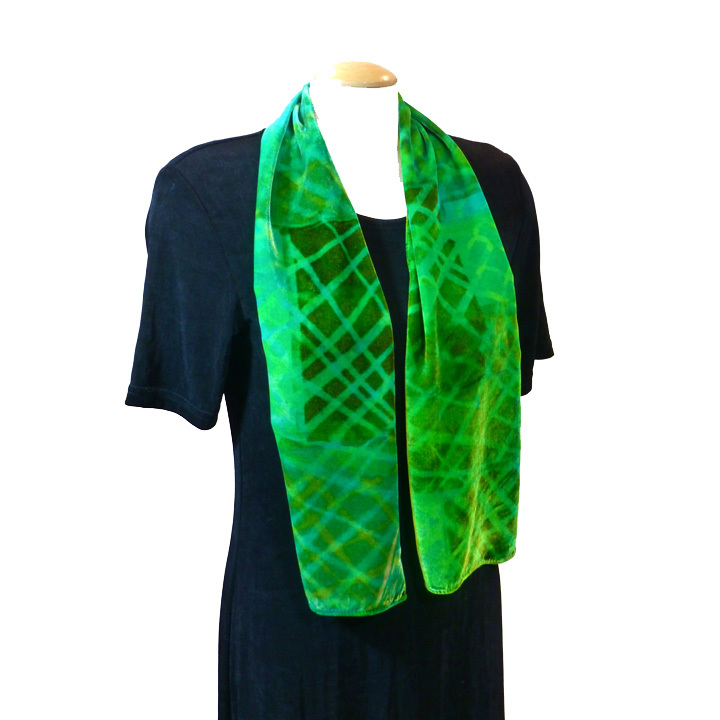 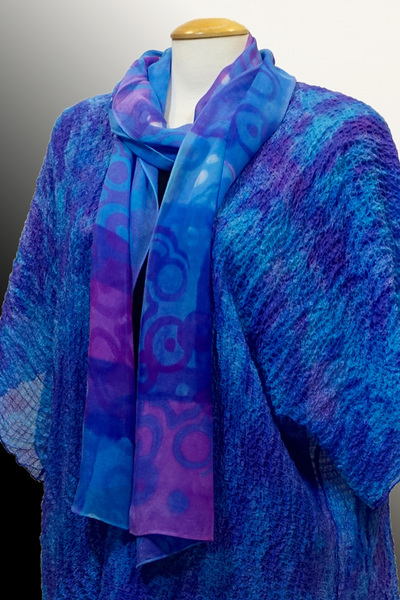 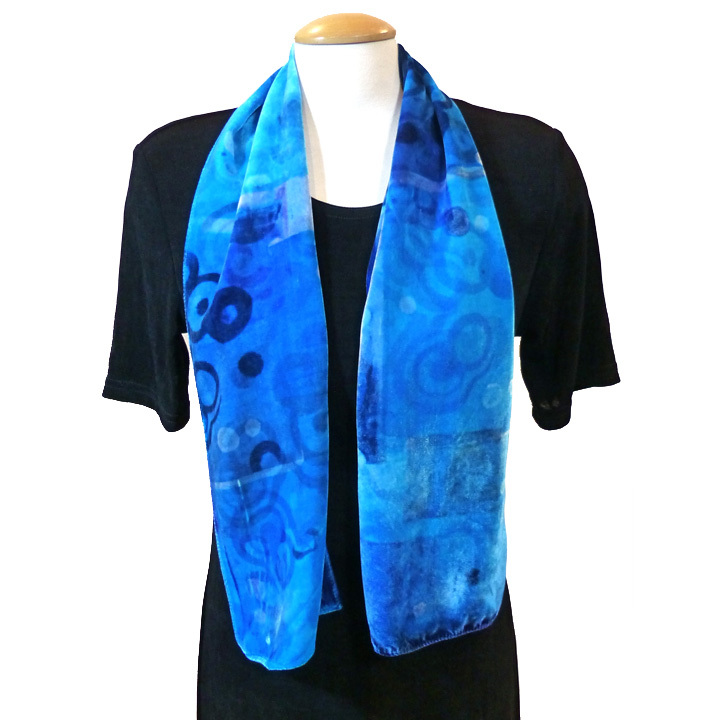 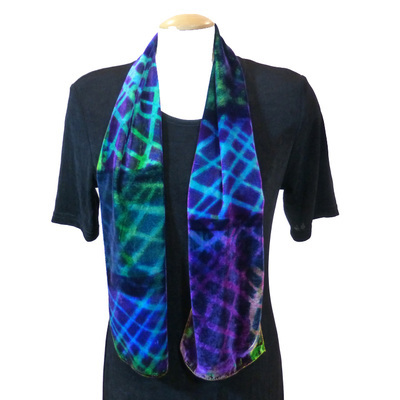 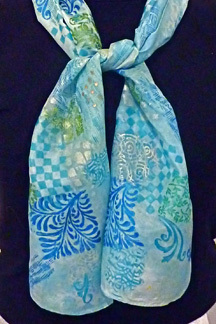 Silk, Rayon and synthetic Yarns are sewn together to make this delicate and colorful scarf. Wool roving (fiber from the sheep before it has been spun into yarn) is dyed and felted to fabricate a soft luxurious fabric. 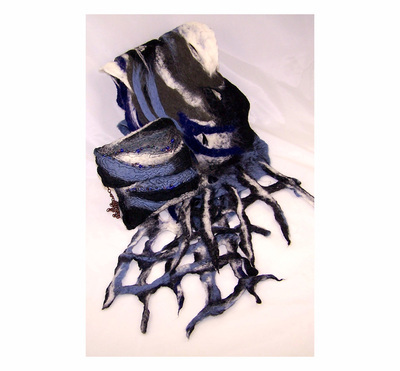 The "fabric" can be pulled to fashion fringe and holes, felted with yarn and ribbon, or beaded to create a wide variety of textures and patterns. 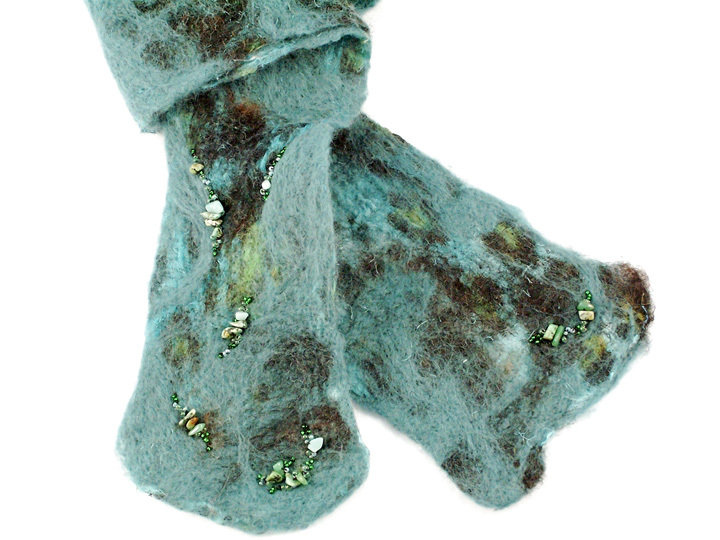 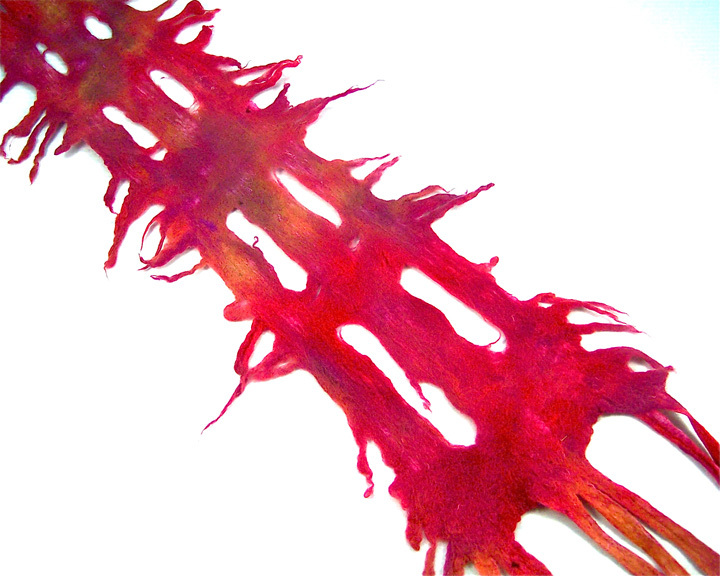 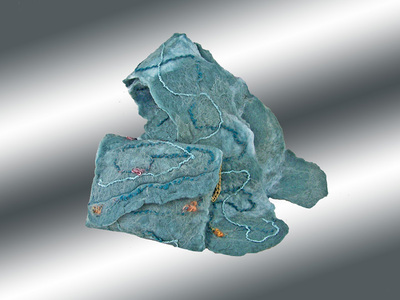 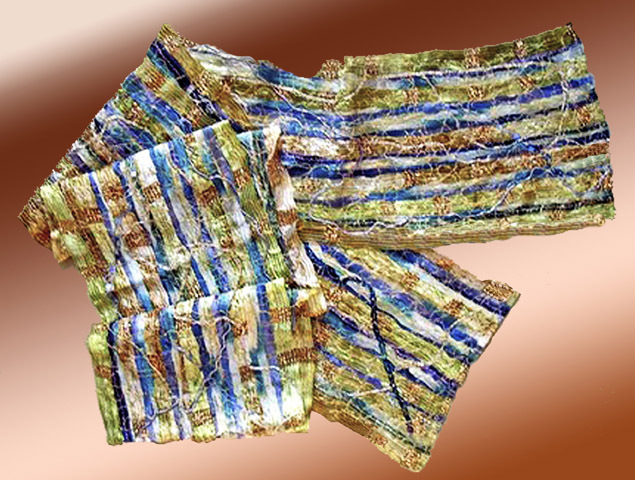 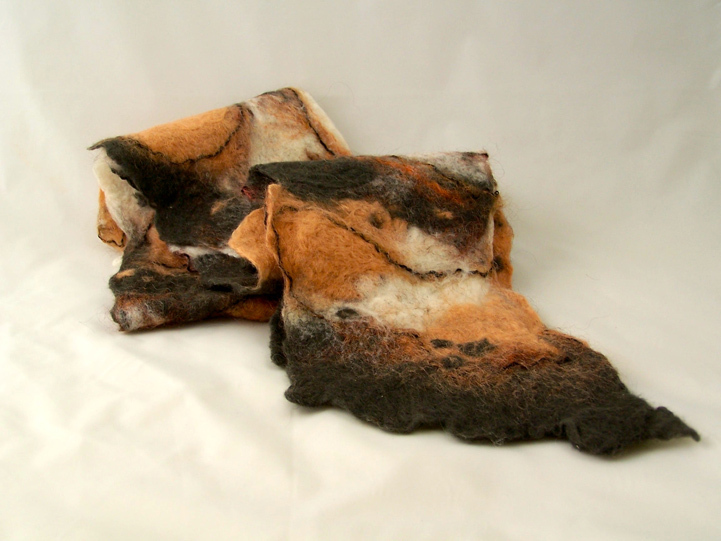 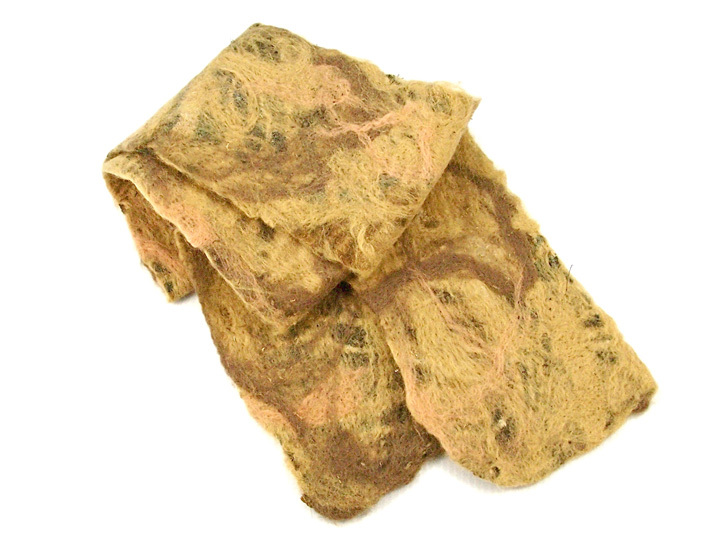 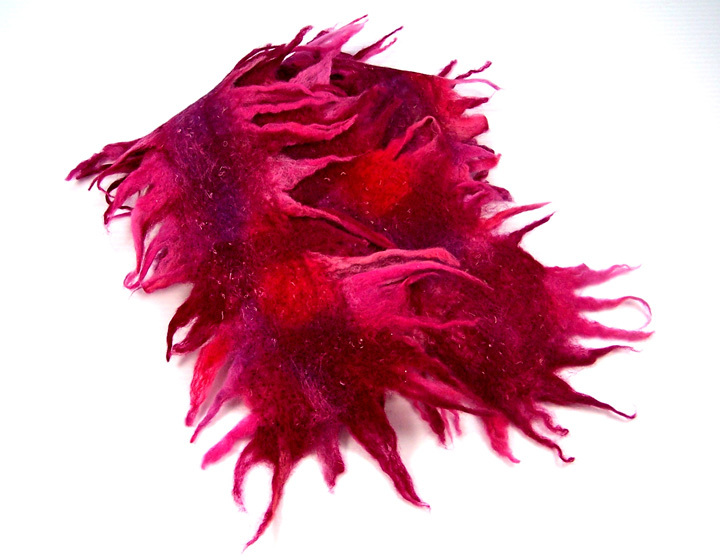 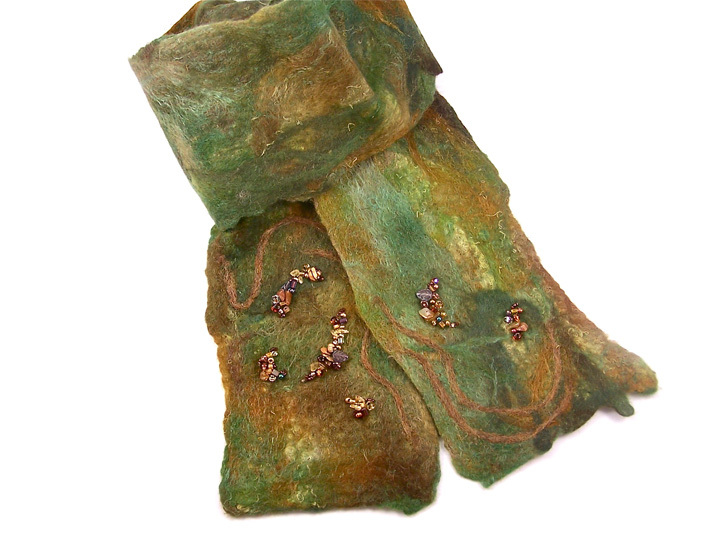 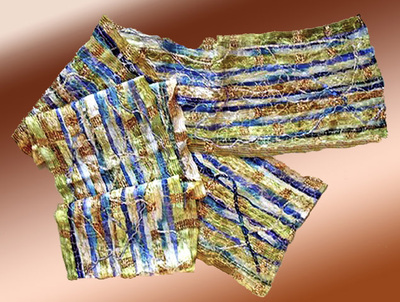 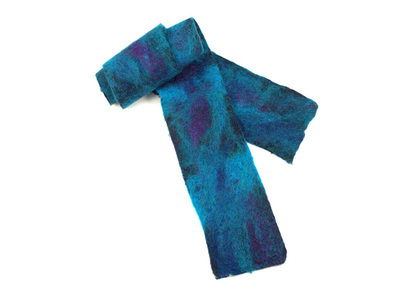 Felting on silk gauze produces a wispy scarf or shawl.